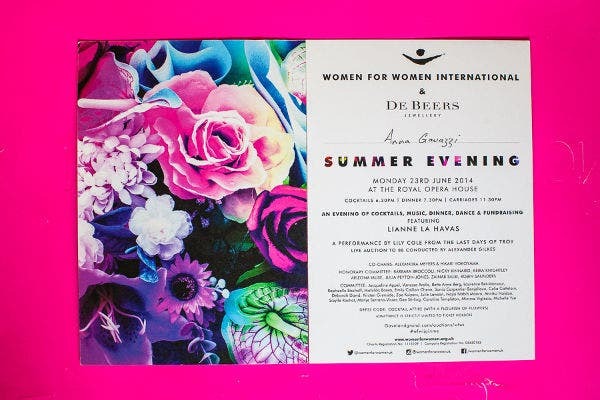 On the search for professional and artistic event menu templates? You’re on the right page. Designing the event menu is both exciting and stressful. There are a lot of factors to take into account. An event menu provides a list of all the offered food and drinks in an event. It provides a delightful guide to the guests. To hasten your search, you can access and download our blank event menu samples and templates to serve as your inspiration to create an outstanding menu template for your event. For further details and event menu sample templates, you can also check out the links provided. Have fun checking out Template.net! What’s a Menu Good For? Communicates the overall image of the event. The menu provides your guests of an overview kind of food and drinks that you’ve prepared. 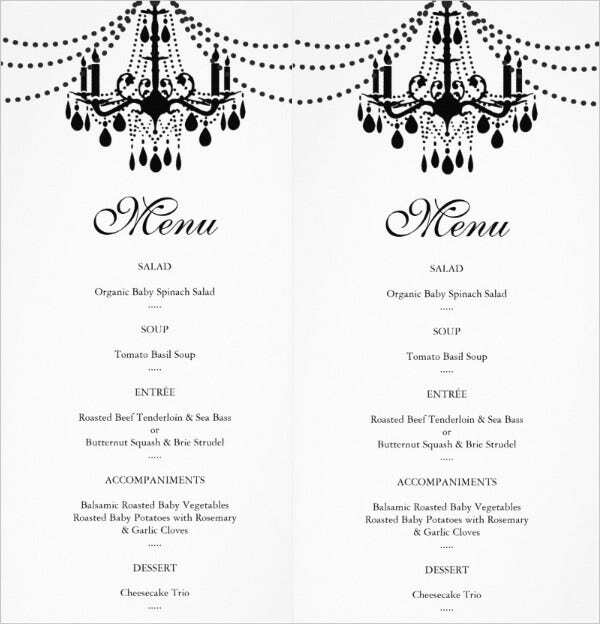 Most menus are also patterned in accordance with the theme and overall thrust of the event. A means of documentation and advertising tool. 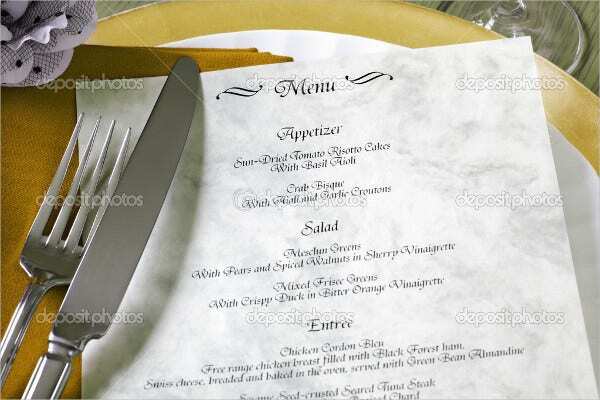 A menu is considered as a list or a which documents the food and beverage options being offered by the restaurant. In a certain event, the host will avail the services of a restaurant or a caterer. 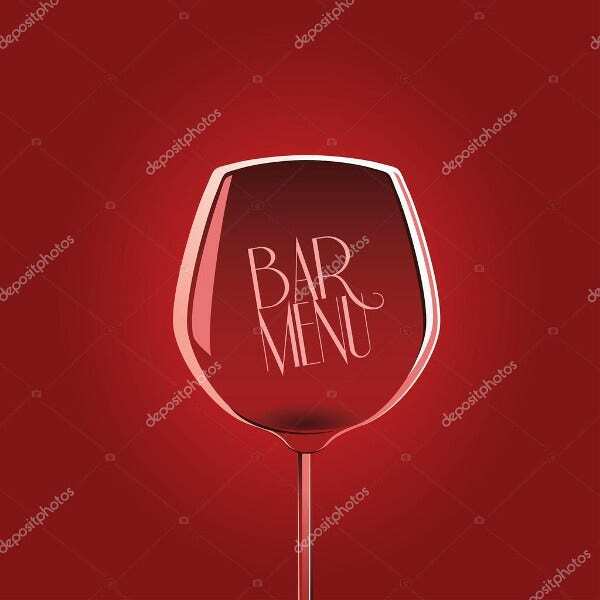 In line with this, the menu can serve as the way for them to promote their special and one of a kind drinks and dishes. Serves as a guide and reminder to the guests and participants. It is undeniable that menus make it easier for the guests and participants to decide what dishes or food they are going to eat. There is no need to approach the food servicing area and inquire about it. For those who have food allergies or follow a certain dietary scheme, a menu serves a reminder and guide. These are just some purposes of a menu. Never underestimate the capability and power of food event menus. They are part and parcel of the overall guests’ enjoyment of any event. It is as important as the event itself. What Type of Food Service Suits Your Event? Table buffet. This type of food service is slowly taking the spotlight nowadays. It is mostly used in weddings and other social and corporate events. In this type of food service, the menu is served on large platters in the middle of the table and the guests can access them right there and there. Food stations. According to research, this type of food service is ideal for cocktail events. It is likened to a buffet that enables the guests and the participants to make their way to where the food is laid out. In this kind of arrangement, most foods are bit sized and the guests can easily pick them up. Set menu. This is mostly applied in corporate and formal events because the guests are not expected to linger with the food. In this kind of arrangement, a plated meal is served in front of the guest. One option is served per course to each guest. A la carte. By using this arrangement, you are provide your guests with a restaurant type food service. In here, the guests are handed a menu at the table and are asked to call the attention of the waiter once you are ready with your selection. These are just some types of food service that you may opt to have in your event. They will surely give more life and substance to your event. Just remember to choose carefully and wisely. Cultural and ethnic food preferences. According to research, food preferences are based on the individual’s religious, cultural, and family backgrounds. In planning the content of your menu, ensure that you take into account the food preferences of your guests, specifically in intimate events and formal events. Design of the menu. This is where our templates will work their magic. In here, try to plan a design a strategically arranged menu rather than a cluttered one. Emphasize your specials and unique dishes. With proper menu designing coupled with modern food photography and professional layout, your menu will surely be well-appreciated by your guests. 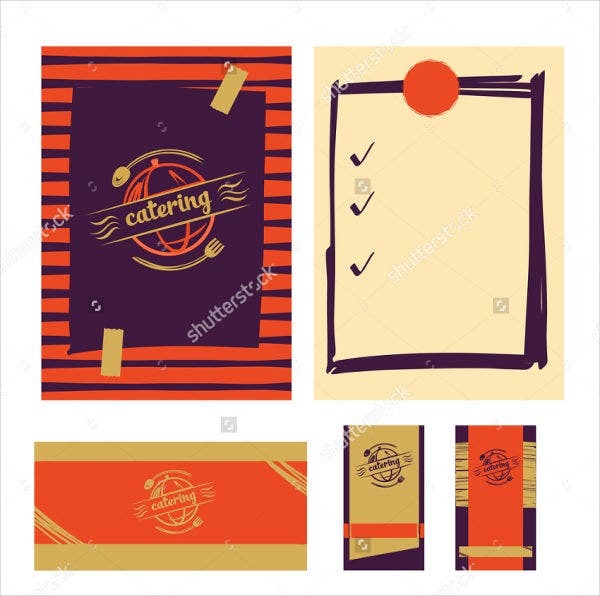 These are just some factors that you can consider in planning your menus. 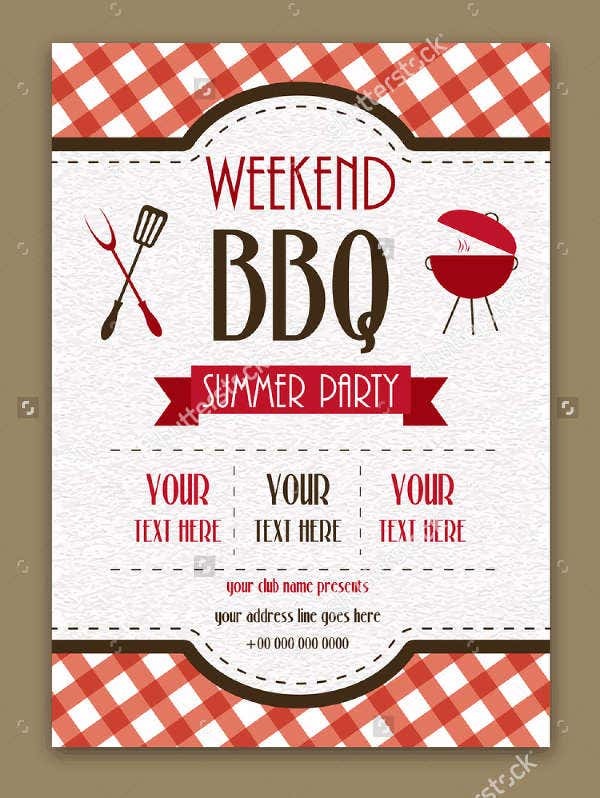 Blank Event BBQ Menu template. 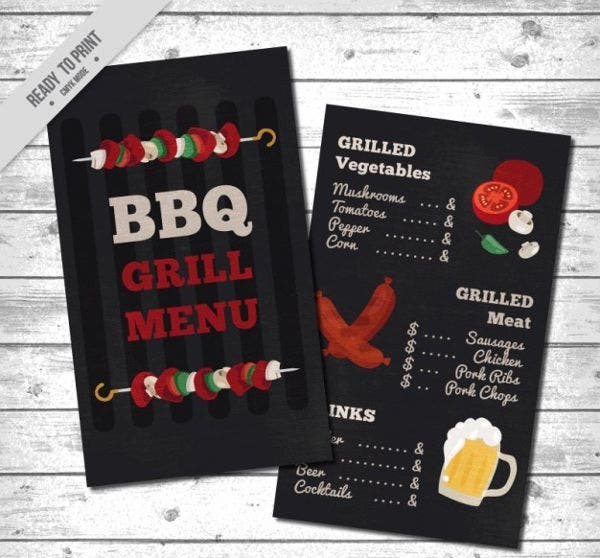 If you’re planning to conduct an event with a BBQ Menu, our template is perfect for you. The designs create a rustic and enticing vibe. It will complete the sweet, smokey smells of a barbecue dinner. You can easily customize it and put a some images based on your preference. As you can see, it is also straightforward providing the date, place, and time of party. Party Event Food Menu template. With this vibrant printable party event food menu template, you can create a fantastic and artistic menu for your party. You can also add more images and graphics to complete the overall party experience. Chalkboard Food Menu template. If you’re planning to pull off a classic-themed event, our chalkboard food menu template is perfect for you. You can display a variety of options to the guests in the most simple yet most elegant manner. 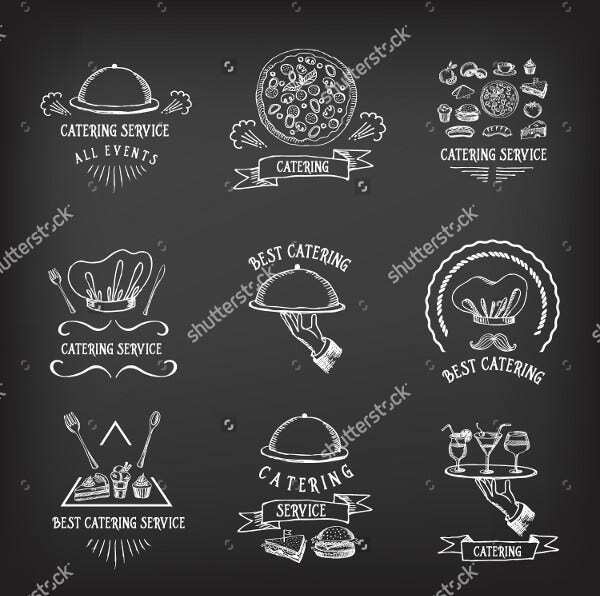 Catering Event Menu template. Nowadays, the catering business is so competitive. More and more people are going into this kind of business. In line with this, the way you present your services as a whole matters a lot in getting more customers. As a caterer, you must provide your customers with wonderful food choices coupled with a well-structured design. Corporate Event Menu template. In here, the designs are minimalist and elegant. If you’re looking for formal design structures, you can rely on them. 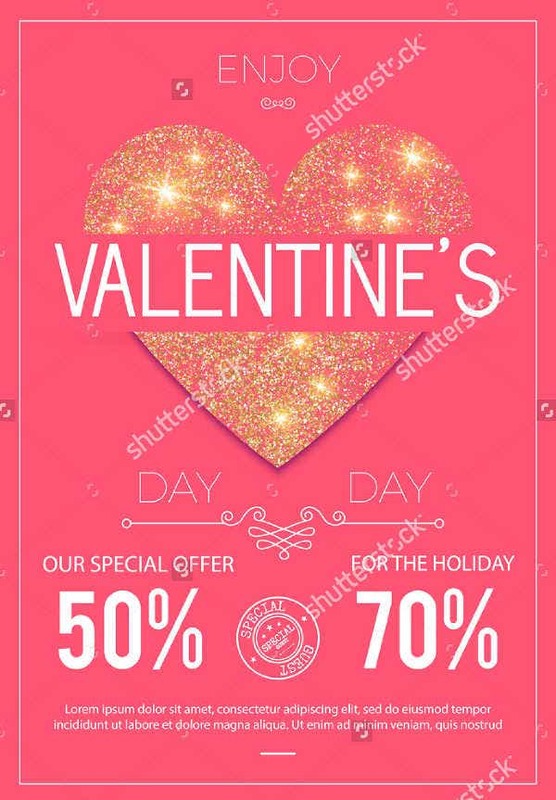 The said templates are some of our featured masterpieces that can help you in creating yours. You can easily edit them to suit your preferences. Indication of the type of event. It is important to identify the nature or type of event so that the food menu will be in consonance with the purpose of the event. It will allow the host or event organizer of the party to make sound decisions and choices in selecting food items. The food items. In here, you have to strategically and beautifully arrange the food choices that you offer. You can even add high-quality images for each food item. Ensure that the food selections are not cluttered for the guests to know which food is perfect for their taste. Some factors that are also considered here is the location of the party and the type of service adopted by the event. The type of service. As discussed above, there are various types of service that an event may adopt. You can also indicate that in your menu for reference and as a guide for your guests. They guests will have an idea if there is an unlimited supply of food or the type of service that they can expect from the event. A brief description for every food item. In here, you can include relevant details about the food item such as its major ingredients and the course where the food item is included. You can also indicate what are the unique and special food offered. They are some of the key features of an event menu. There’s no stopping you from adding more relevant sections in your menu. Pay attention to where the items are positioned. In here, you to ensure that you provide menu headings in order to categorize the food items in the menu efficiently. Customize. Ensure that your menu suits the event you are conducting. In the restaurant business, a menu can send signals to customers. A menu can make or break your event. It contributes to the overall dinning experience provided by your menu. Organization. Ensure that guests can easily spot what they are looking for. Within this aspect, you have focus on the color, font choices, and other graphical elements in order to maximize the power of your menu. Readability. This is critical factor to consider. Going back to the rationale of an event menu, it is for the convenience and used to provide guidance to the guests. Don’t overdo the design in manner that decreases the readability of your event menu. These are some things to consider when designing your event menu engineering. This will surely help you to create a party menu that will be appropriate for the occasion that will happen. Generalizing the preferences of the guests. This is a big no-no. In planning your menu, you must take into account the preferences of your guests rather than focusing on the general ones. If its not possible to know the specific ones, at least try to anticipate some of them or prepare multiple choices. Not considering the time element. This is critical. You have to select a menu that is in line with with the agreed time for your event. This important in order to preserve the integrity of the food. Illogical menu layouts. Adopting an inefficient layout for menu item variation is frustrating and confusing. The layout should make sense in a logical manner. Misspelled items and texts. 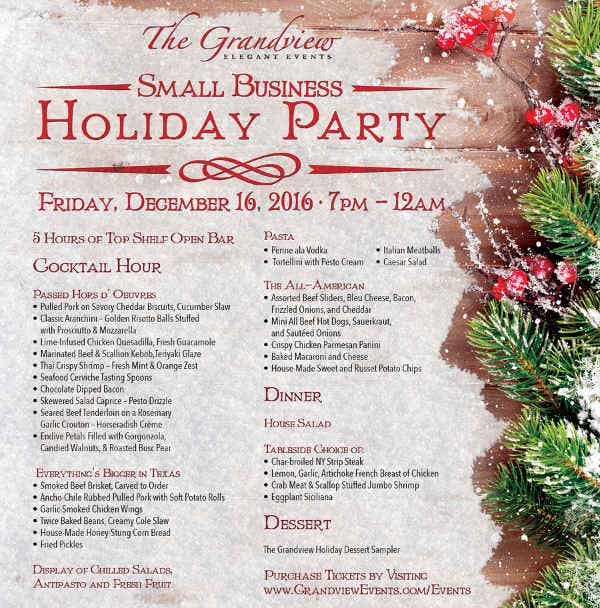 Make a habit to proofread your event menu before using and disseminating them. Grammatical errors can be eliminated with careful attention and editing by more than one person. By proofreading your menu, you can pull off a certain level of professionalism and class. Disorganized menu. A cluttered menu can be irritating and frustrating for the guests. It will defeat the overall purpose of the menu. These are just some mistakes that you should try to avoid in the course of planning your menu. 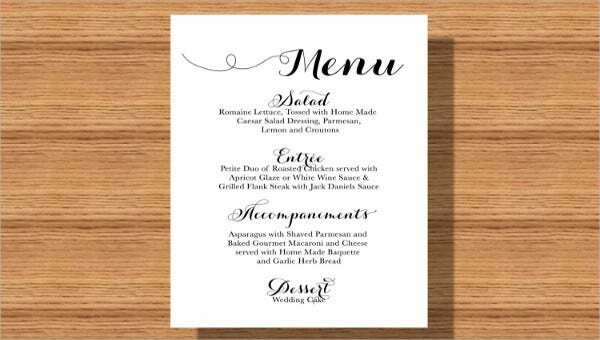 You can also check out our array of banquet menu and buffet menu templates. They are also of great quality and design. 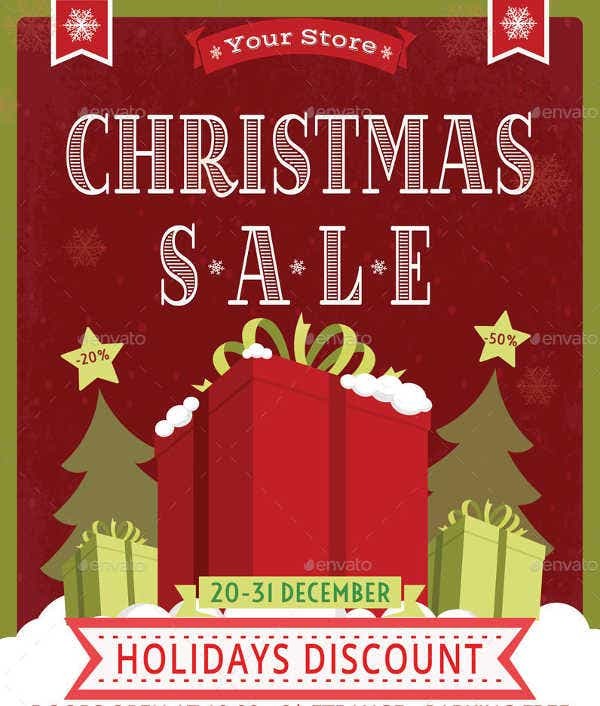 However, also feel free to change the items in each menu, especially if you think that it is not suitable for the kind of party or the theme of the event that you will organize. Feel free to check our archives out and enjoy your stay here at Template.net!